Devin Rohrich named PIHL player of the week! Congratulations to our USC All Stars! Quinn Giacobbe, Devin Rohrich, Andrew Woomer and Anthony Carone were named All Stars to the AA Southeast Team. Head Coach, Justin Becinski named All Star coach for the AA Southeast Team. The game was played January 27, 2019 at RMU Island Sports Center. Way to go All Stars!!! USC Junior Varsity wins Franklin Regional Preseason Tournament! USC Middle School Back to Back PIHL Champs!!!! 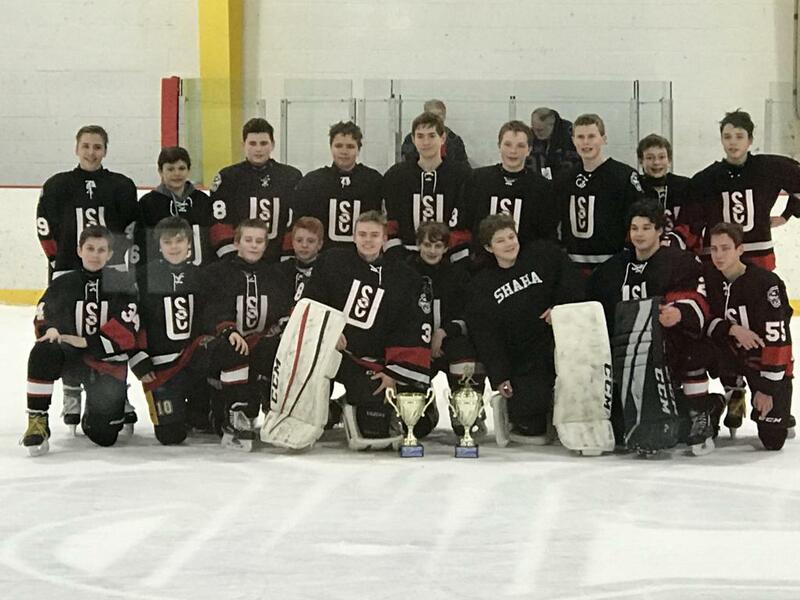 USC Middle School Wins SSA MS Hockey Showcase Championship! ©2019 Upper St. Clair Panthers Hockey / SportsEngine. All Rights Reserved.